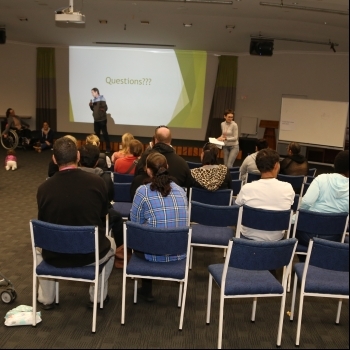 Practical workshops for education and health professionals, families, whanau, support workers and other interested people. These workshops looks at ways to maximise the use of low tech communication tools to support people’s expressive and receptive communication skills. Creating Communication Opportunities throughout the School Day; designed for school teams. Creating Communication Opportunities throughout the Day; designed with an adult focus. Lots of practical tools, resources, tips and tricks will be shared. Cost: $100.00 per person (including GST), parents and whanau are free. While the focus is low tech, the strategies covered can also be used with high tech speech generating devices. Group discounts and courses tailored for specific groups are available please email courses@talklink.org.nz to discuss your requirements. For further information, please download the flier here. Parking available onsite or on the surrounding streets.